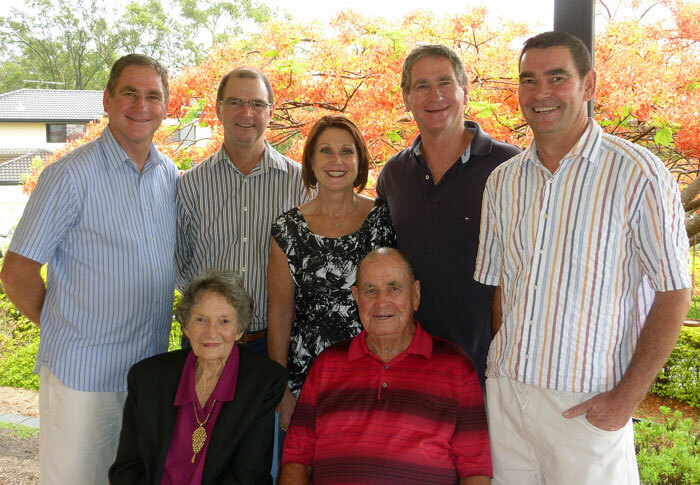 Diamond anniversary: Marie and Rodney Stower, front, with their children, back from left, Peter, John, Julie, Mark and Michael. A CHANCE meeting 60 years ago became the catalyst for creating everlasting love for Grovely couple Rodney and Marie Stower. The couple were married at St Stephen’s Cathedral in Brisbane on November 28, 1953, and their same unconditional devotion for each other can still be seen today. “It’s been an eventful journey,” Mr Stower said. Mr and Mrs Stower shared the milestone with close family including five children, 11 grandchildren, and four great-grandchildren. It was a special day for the pair, who received a papal blessing from Pope Francis, along with letters from Queen Elizabeth II, Governor General Quentin Bryce and Prime Minister Tony Abbott. The couple was honoured to receive the letters and blessing, but what truly made the day special was the presence of their family. “It gave Marie and me great joy to have the immediate and extended family gathered with us,” Mr Stower said. Mr and Mrs Stower live in a house at Grovely, which they have spent the past 60 years crafting into a home. “We’ve always had a willingness to acknowledge each other’s wishes and to resolve problems together,” Mr Stower said when asked about the secret behind their lifelong marriage. 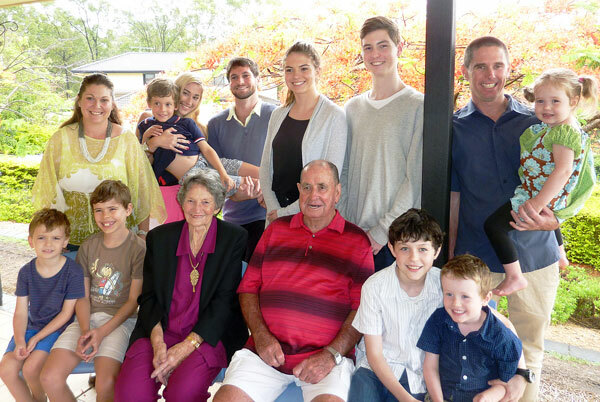 Loving couple: Rodney and Marie Stower with their grandchildren and great-grandchildren.